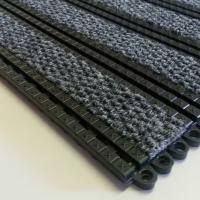 Non slip entrance mats have a critical safety role to play. Slips, trips and falls made up more than half of all reported major injuries causing suffering and financial loss for individuals, companies and society at large. 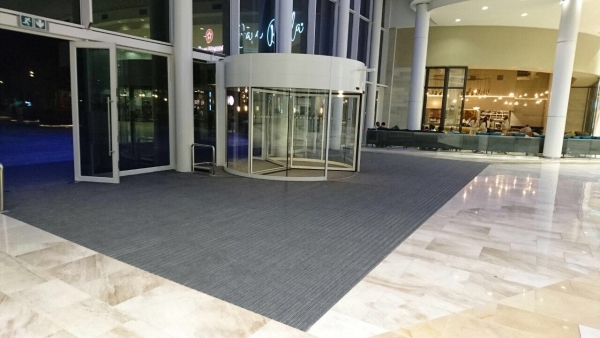 Wet and dry soiling can both create slip hazards, but by taking sensible decisions over flooring surfaces and installing effective entrance walk off matting systems, the potential for slipping can be dramatically reduced. 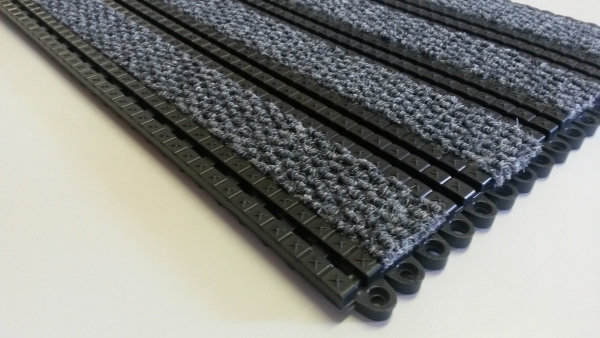 A well designed entrance mat system will prevent dirt and moisture from being tracked in and thereby prolong the life of interior flooring and reduce cleaning, repair and overall maintenance costs. If you really want to keep your building clean and safe, it’s not enough to throw down a mat at the door. 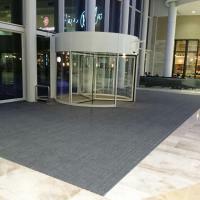 Matting placed outside the building entrance is the first line of defence against foot-borne soil, scraping the coarsest dirt from the soles of shoes before they cross the threshold. Moving inside, the next line of defence, is used to remove foot-borne moisture and finer dirt particles. 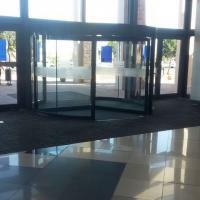 Other areas in the building also suffer from soil and moisture; reception areas, corridors, walkways, elevators, staircase exits, etc. All these areas will be prone to residual soiling and will benefit highly from a purposely designed entrance mat to absorb this soiling. 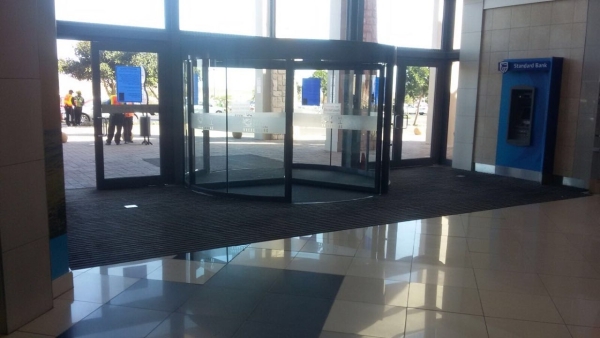 When entering a building most people will not stop and wipe their feet and resume walking. It is for this reason that the length and width of the mat should be large enough to cover the entrance sufficiently to enable people to walk off the dirt without intent. Research shows that up to 94% of the dirt entering a building is brought in on the soles of shoes and the tyres of wheeled traffic. This wet and dry soiling makes interiors look dirty and unattractive, causes structural damage to interior floor coverings and finishes and creates unnecessary health and safety hazards.